Why do people consider getting solar power for their homes or businesses? Residential solar is booming, and between the possibility of a ‘$0 down’ solar installation and the dropping cost of solar, it’s a great time to consider getting a residential solar power system installed. But even with the ease of installation and numerous solar incentives available these days, some people are still sitting on the fence when it comes to making the decision to go solar. So for those that do consider solar, what are the reasons that residential solar is an attractive option for them? According to the results of a recent survey, 88% of American homeowners believe renewable energy is important to the country’s future, 69% of them want more choice when it comes to the supply of energy and electricity to their homes, and 62% would consider a home solar energy system. These aren’t very surprising statistics, as demonstrated in the recent growth trends in residential solar, but they do indicate that choosing to invest in a clean renewable home energy source isn’t a fringe belief, or for the early adopters and outliers anymore. For many people, the decision to consider residential solar power isn’t really about the environmental benefits, but instead makes complete financial sense for them, for two big reasons. For one, it’s the possibility of not having to put any money up front to start going solar, because it’s almost like getting something for nothing. A zero money down solar installation removes one of the barriers to solar for many people, as not everyone has the access to cash or financing to invest in the outright purchase of a solar array, but pretty much everybody wants to reduce their energy costs. The other big reason for considering residential solar power is the ongoing savings in energy costs that are possible, year after year, with a solar array. And it makes complete sense, because if we can invest now for things that we’ll always need, such as electricity, and reap the savings long into the future, then it’s like putting money back in our own pockets. The survey, which was commissioned for Clean Edge from Zogby Analytics, also revealed that the myth that “solar power is too expensive” is still alive and kicking, even though the actual costs of solar panels have dropped a huge amount in the last few years, and getting your electricity from the sun already costs less than the cost of electricity from the grid, when spread over the course of those solar panels’ lives. Another finding from the study, and one that might be related to our love of the idea of independence in the US, is that 73% of the homeowners polled said that they “would welcome an inexpensive and reliable form of energy provided by someone other than their current utility.” And because a home solar installation could provide affordable clean energy, it can be a viable way to gain some energy independence, and instead of always being an energy customer, homeowners could also be energy producers. The results of the survey, titled “U.S. 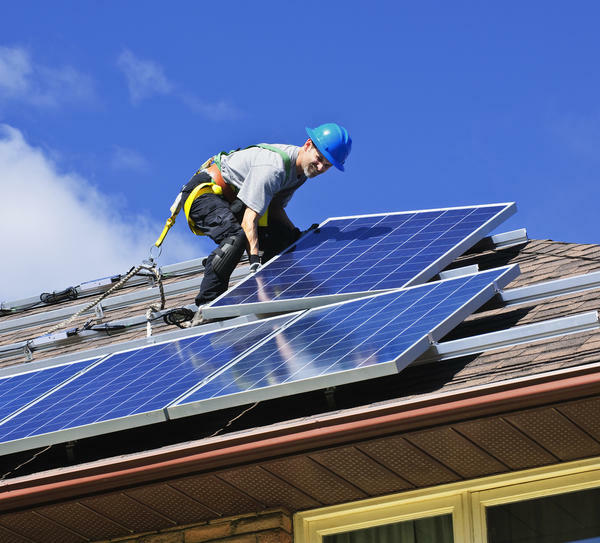 Homeowners on Clean Energy: A National Survey” are available at Clean Edge. Now that you know going solar can make a lot of financial sense, take a few seconds to run a free solar report on your property and find out how much solar could save you!